Home Careers Automated Interviewing: Should Organizations Use It? Last week, I wrote about the necessity of a face-to-face job interview and the benefits of a phone interview. This week, I became involved in a LinkedIn discussion on the benefits of automated interviewing. Less labor-intensive – When you manually process the interviewing function, you need multiple people to read resumes, schedule appointments and do other related work. If the process is automated, a company will not need the number of human resources professionals. Consistent – All candidates are consistently screened against the same criteria. When a person performs the task, it is possible for that interviewer to become biased. Easier to track – When all information is in one automated system, tracking candidates through the hiring process is much more efficient. You avoid all the paperwork; all notes and forms are in your system. Readily available – Many automated systems are available via the Internet and can therefore be accessed from any computer. In many cases, candidates can check the system regularly for status updates. In the manual process, candidates often believe their applications fall in a black hole, which is a common complaint. They are also averse to calling the HR department for a status report. The current frustration level with automated systems – Some applicants get frustrated with computerized systems and do not appreciate being “lost in the loop.” There will be times when they want to speak with a live person. Also, during a live interview, both parties can watch each other for nonverbal communication cues as well as listen to responses. What happens if there is a disconnect and/or area of confusion? How does a candidate “reset” the interview to get back on track? Passive candidates – If you were not actively looking for a job and received an invitation to participate in an automated interview, how likely would you be willing to participate? The interviewing process works both ways. Candidates want to know information about you. The preference for the human touch – There are still individuals who do not like automation. They want to engage and interact with human beings. One participant in the LinkedIn discussion viewed this process as a new low in recruiting. That person noted automated interviewing allowed technology to interfere with what should be an opportunity for authentic human engagement. What Would Be A Better Way to Use Automated Interviewing Technology? We should not forget that the interviewing process is a two-way street. At some point there needs to be a “human touch.” There doesn’t have to be personal interaction throughout the entire interview process; a qualifying questionnaire to be answered by phone has become an acceptable first step. But job candidates should have the opportunity to communicate with a real person in writing and verbally. 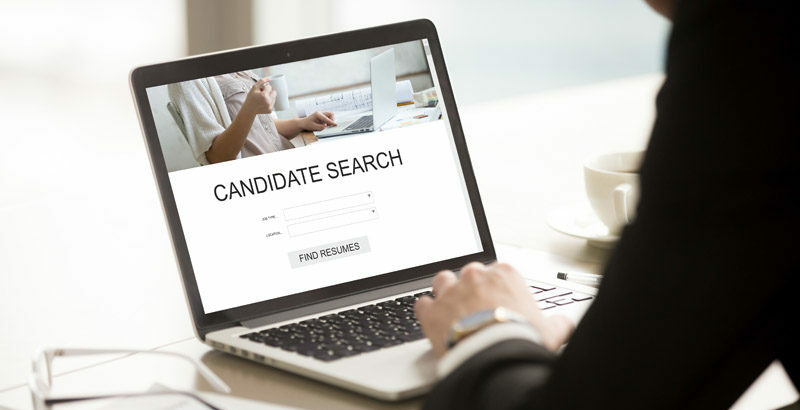 Although companies may want to streamline the interview process, when courting potential candidates in a tight market, unless your competition is taking the same automated approach, personal interaction could give you the edge when it comes to the candidate choosing which job offer to accept. Employers need to recognize that there are many factors to consider when developing and implementing their interviewing process. For one, candidates will often favor a job opportunity that has a human touch. If a company representative is not involved from the initial stage of the hiring process, the candidates might see themselves as nothing more than a number in an impersonal process. I remember applying to schools for my undergraduate degree. My final decision was based on selecting the school that made me feel like I would make a difference. I chose the school that spent time learning about my interests, knew my name and my personal references, and provided personalized, follow-up feedback. I felt like the institution cared about me. Companies that truly want quality candidates should find ways to better harness the benefits of automated interviewing technology. They should also visibly demonstrate that they care about their employees in order to retain the best workers.